Located along a terrace overlooking the Shepaug River, the Kirby Brook site was first occupied during the Terminal Archaic period. When settlers arrived in what is today the town of Washington, they purchased the land from tribal leaders of the Pootatuck tribe as the site was located on Pootatuck homelands. 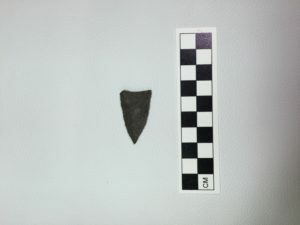 The site’s artifacts demonstrate its almost continuous use and occupation from the prehistoric to the contact period. 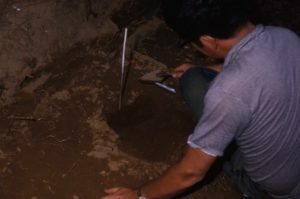 First excavated by professional archaeologist David Thompson and later Edmund K. Swigart, co-founder of the American Indian Archaeological Institute, now the Institute for American Indian Studies, the site yielded several thousand artifacts and, most interestingly, post molds that Swigart was able to interpret as the remains of wooden pole frame structures. 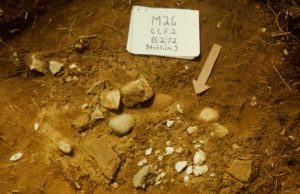 These findings provided archaeologists with valuable information about how people in the past constructed dwellings and used the landscape. New England soils are normally acidic. 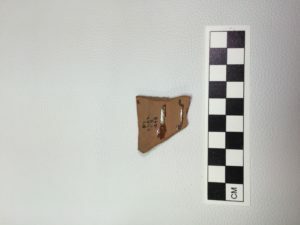 For this reason, archaeologists usually recover artifacts made from materials that don’t decompose, such as stone or clay. When organic material –such as bark or saplings used for houses — decays, it leaves only a dark stain in the ground. Eastern Woodland New England Indigenous houses in southern New England, called weetoos or wigwams, were supported by wooden posts buried in the ground 12”-18”. When these posts decomposed, they left a dark circular stain, commonly referred to as a post mold. 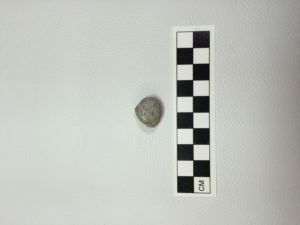 Archaeologists can often figure out what the size and shape of a structure was by studying the patterns formed by post molds and “connecting the dots”. 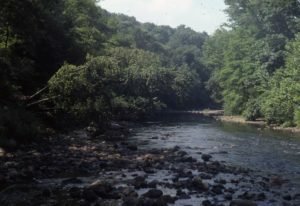 Kirby Brook is an important site because it shows the continuous occupancy of the area by Native American and Euro-American peoples from the prehistoric, Terminal Archaic, period through to the mid nineteenth century. 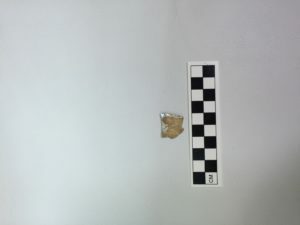 Through archaeological excavation we can see how the site was used thousands of years ago and through historic documents, as well as the historic archaeological record, we can see that the site was still being used during the colonial period. The site would have been part of the larger subsistence pattern of the Pootatuck tribe and only one of a number of camps/settlements they would have used to exploit the natural resources of their Homelands. The site was later used for a saw mill during the mid-nineteenth century by the Hickox family. Tracing the Kirby Brook site through the historic record illustrates the differences between the European-American uses of the landscape and those of the Native American Pootatucks. The colonists wanted to stay on the purchased land full time, rather than move seasonally as their Native counterparts did. 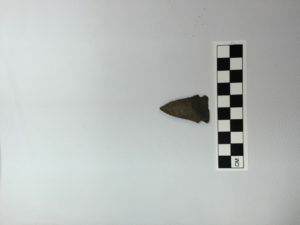 This year-round settlement pattern reflected a much different concept of land management than that held by Native Americans. Indigenous communities had no concept of individual ownership. The land was given to the tribe by the Creator, and shared by its membership. No one individual owned property. Rather than sell the land to the colonists forever, the Native Americans thought the colonists wanted to participate in the preexisting systems of tribute relations. Following these systems the Native Americans thought they were simply allowing the colonists to temporarily use the land. In contrast, the European settlers believed that whoever purchased the land owned it and could use it as they saw fit. This difference in ideology would become a central issue in Native- Colonial relations across North America. 1971, From the Pootatuck Indians to the Indian Diggings at Kirby Brook Site in Washington, Connecticut. Unpublished.